Has your boiler broken down? If you have a problem with your boiler, the Clim Var Froid team is quick to respond, providing breakdown assistance and repair all across the Var region. Has your oil fired or gas boiler broken down ? A number of defects can lead to the breakdown of a gas or oil fired boiler: pipe leakage, obstruction in the heating circuits, problems with temperature, pressure or drainage. In order to get your appliances in working order again as fast as possible so as to recover your comfort and peace of mind, you need to call a qualified professional. 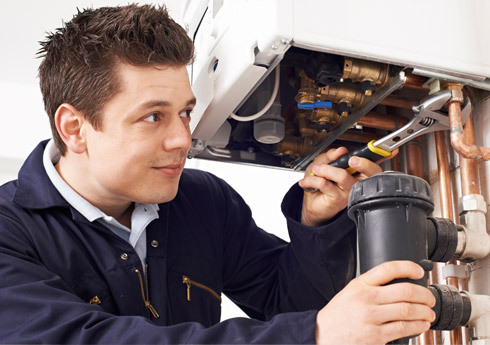 The Clim Var Froid breakdown technicians will come round to your house within 48h to fix your boiler. Readily available and quick to respond, they'll get your installation up and running again in the shortest time possible. Our qualified specialists use cutting edge technology to detect potential leaks and inspect the installations: checking the water, gas and electric circuits. This professional service guarantees an optimum quality of repair for your oil fired or gas boiler.